The cloud is the default medium for any effective mode of team communication, and our preferred platform of choice? The CloudApp Storm. Trusted by two million professionals — including many at big companies like Facebook and the New York Times — CloudApp lets you seamless share screenshots, GIFs, and screen video recordings for just $30. Capturing GIFs or taking screen recordings has never been simpler: CloudApp turns these into an easily sharable link. Plus, since it easily integrates with Slack, HipChat, JIRA, Zendesk, Github, and hundreds of others — you'll have no problem keeping your workflow fluid. You can even annotate screen captures to organize them with pinpoint precision, and configure who can access those captures. 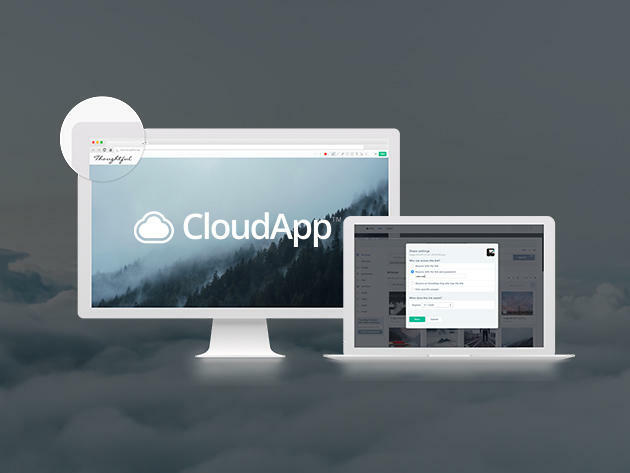 Get the CloudApp Storm one-year subscription now for 90% off — just $30 for a limited time only.